Globe GEN3 Store in Greenbelt 3 - The first two-storey GEN3 store in the country - All Chucked Up! If you haven’t visited any of these awesome establishments since they’ve launched (but why??? ), you’re probably asking what one can expect inside a GEN3 store. Globe store employees warmly welcomes the guests on the second floor of the new GEN3 store. 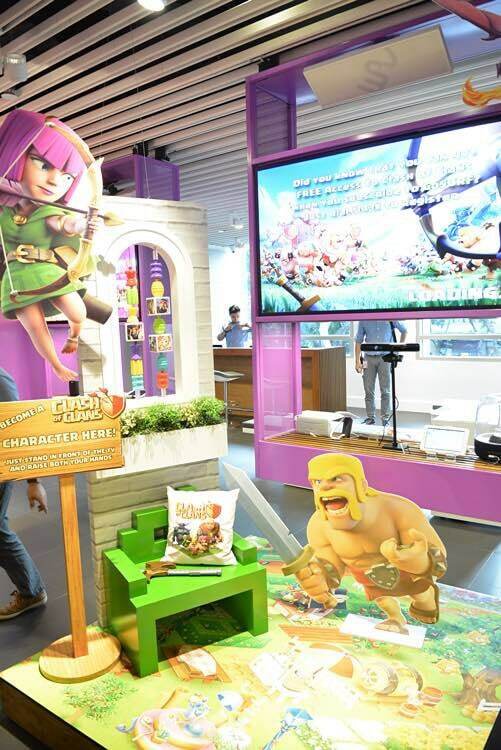 Each lifestyle zone inside the Globe GEN3 Store in Greenbelt 3, just like other GEN3 stores around, is curated to feature the telco’s topnotch roster of content… from the best music on Spotify, in-demand movie and TV titles on HOOQ and the latest in mobile gaming such as Clash of Clans and Candy Crush, among others. 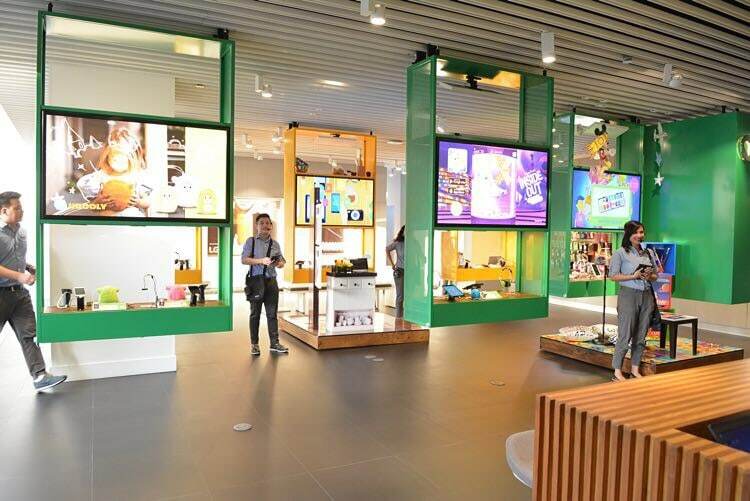 These new GEN3 stores have veered away from the usual display of smartphones and postpaid plans, and instead opted to illustrate mobile and broadband technologies as connected and experiential solutions. 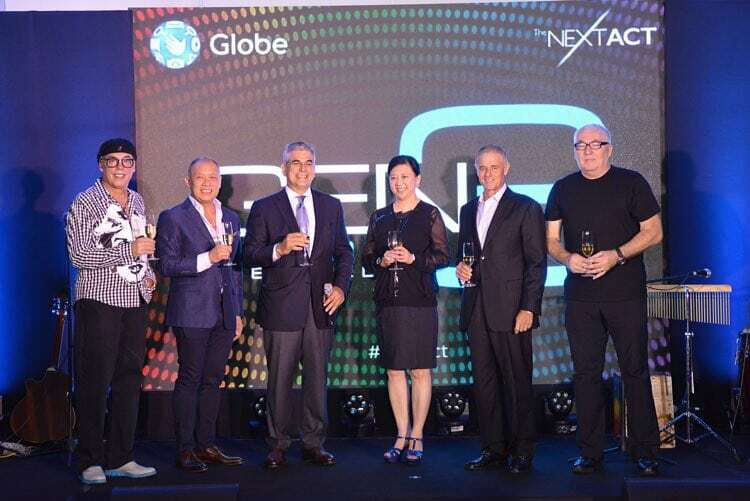 According to Ernest Cu (President and CEO at Globe), their journey to transforming the customer experience continues with the opening of another GEN3 store in the country, this time in Makati, the country’s central business district. And given that the Globe GEN3 Store in Greenbelt 3 is their first two-storey establishment with this kind of concept, it means that more customers will be able to enjoy the innovative and interactive experience that the GEN3 store offers. Mr. Cu continues by saying that they also see GEN3 creating a new standard for telco retailing not just in the Philippines but in the world. 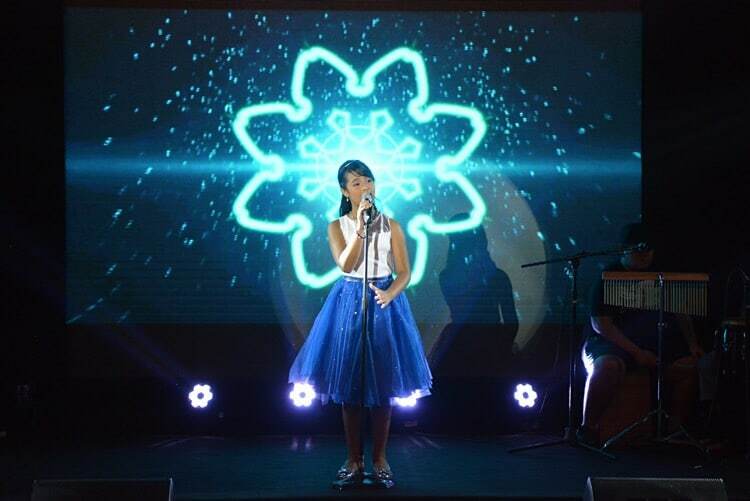 Asia’s Got Talent’s Gwyneth Dorado enchants the crowd with her rendition of Disney’s “Let It Go” from the popular animation “Frozen”. 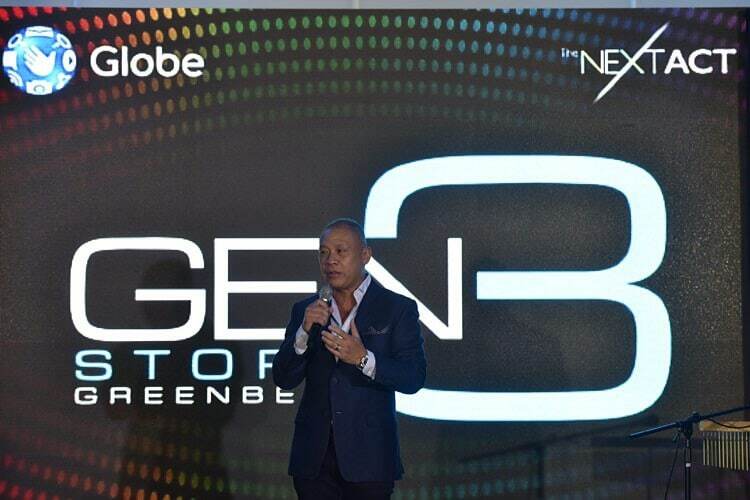 Likewise, Globe Head of Retail Transformation and Stores Management, Joe Caliro shares that, just like their newly launched Globe GEN3 Store in Greenbelt 3, each one of their GEN3 stores is a product of their team’s mission of giving customers the best differentiated service that only Globe can provide. They have fully maximized every corner of the Globe GEN3 Store in Greenbelt 3 to give everyone who walks in a chance to discover and learn something new every time. 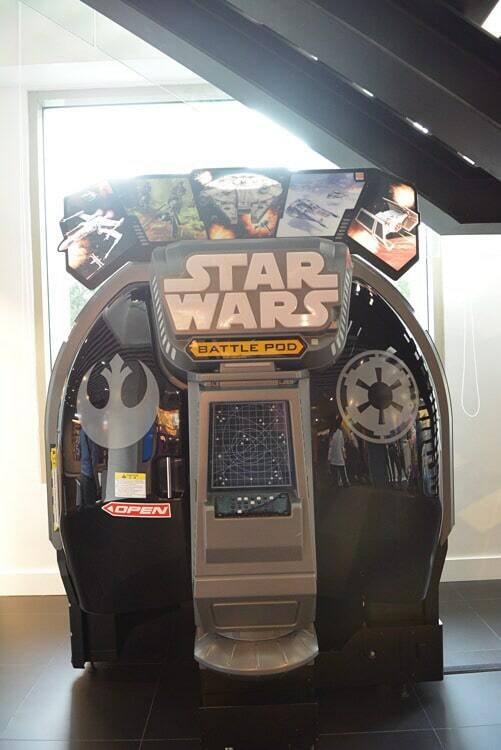 The new interactive and entertaining Star Wars Battle Pod is a classic crowd favorite. And just like your typical infomercial or home television shopping channel whose favorite line is, “But wait! There’s more!”, there actually is more to experience in every GEN3 store than just that! The Globe GEN3 Store in Greenbelt 3, just like all their other GEN3 stores, also carry an up-to-date selection of digital connectors turning the store into a one-stop digital lifestyle hub. The place serves as a wonderful platform to showcase the latest technologies, making them more readily available to everyone. This season, GEN3 is the first store in Asia to carry the ZAGG machine, a revolutionary device that customizes industry standard screen protection for almost all available smartphones, tablets and smart watches in the market. I want that! But wait! There’s more! Hahaha! No, really! Spotify Emerge’s runner up Marion Aunor and Kokoi Baldo together with UST’s Salinggawi pep squad whip out their best moves and vocals in a number to welcome GEN3’s grand opening. If you’ve read my previous article about my first tour around a GEN3 store, you would know that apart from new technologies, GEN3 is also a space that offers up and coming personalities a place to tell their stories. Each lifestyle zone will feature stories of various individuals that are blazing a trail in their respective industries. At the Globe GEN3 Store in Greenbelt 3, customers will get to know the latest musical discoveries in Spotify’s recent online artist search, Emerge – finalist Marion Aunor and grand winner Shehyee. And since the Globe GEN3 Store in Greenbelt 3 is incredibly dynamic, which allows changing content every quarter, customers can expect new activities to experience and new stories to get inspiration from. Pretty cool, huh! And in case you weren’t aware… All Globe GEN3 stores are designed by Tim Kobe, founder and CEO of Eight, Inc. Not familiar, perhaps? Well, his most famous work is the Apple Store in New York, alongside his other dynamic designs for international retail stores such as Nike, GAP and Coach, among others. If you happen to think that the Globe GEN3 Store in Greenbelt 3 is quite far from your area, you would be happy to know that all is not lost. 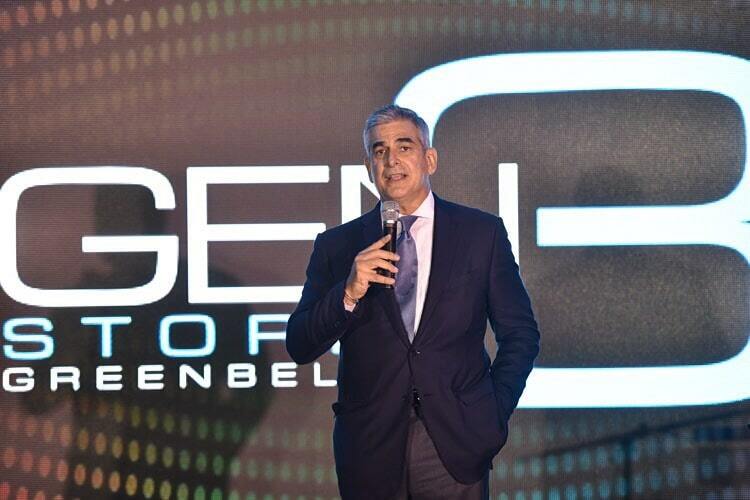 Globe is set to open one more GEN3 store at SM Megamall in Mandaluyong by October. Sweet! And oh! Here’s more great news for all Globe subscribers, old and new… Globe also earlier announced the construction of the “Globe Iconic Store”. It is set to be the biggest and grandest Globe store ever. Its pioneering design will feature a bridge that will link two Globe stores from opposite sides. The Globe Iconic Store will soon rise right above the Bonifacio Global City amphitheatre at the Bonifacio High Street Central in Taguig City. Well, they say that the measure of success isn’t in how fast you reach the top but how long you are able to maintain staying at the top. And with all these wonderful developments and services that Globe has been surprising us with, and considering that the continuous influx of new customers from other networks have driven more revenue for the company, it is undeniable that Globe is clearly at the top of the telco game. Visit the Globe GEN3 Store in Greenbelt 3 soon and be amazed yourselves.